So it seems that Pokemon are back in fashion and taking the world by storm. I can still remember the first time that I received a Pokemon game, and Gameboy, many years ago and there is a sense of nostalgia to seeing the little monsters back on a handheld screen. I must admit that my interest in Pokemon did wane a bit over my later school years, showing my age a bit here, and a number of people have raised the question of whether or not this will just prove to be another fad. 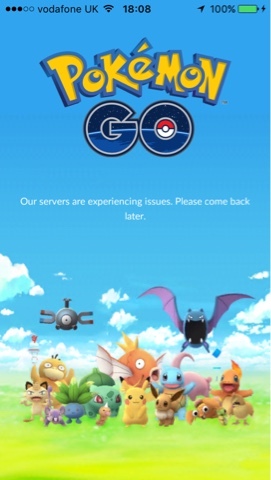 On the face of it Pokemon Go is just another mobile app with micro transactions to line the pockets of the game's creators. However, where I can see it differentiating itself from the crowd is the loyal following that the world of Pokemon has built up over the years. This isn't another Candy Crush or Clash of Clans where the developers have taken a big leap into the great unknown, instead this would appear to be an evolution of a previously successful model being made available to a new generation. And with a number of updates and add-ons set to follow this could be only the beginning. So talking of beginnings let's take a look at my first steps into the world of this "new" global craze. When you first start out you are given the option of 3 starting Pokemon as per the classic Red and Blue games that I originally started out on... But should that really be four? 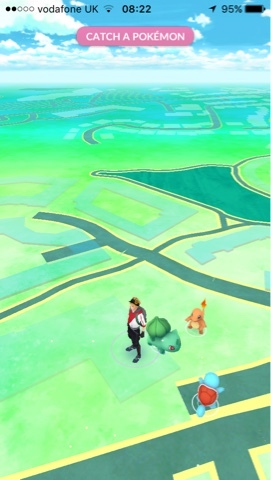 Possibly the worst kept secret in Pokemon Go is that if you walk away from the starting Pokemon a number of times, I have heard this vary from as little as 3 to as many as 6 times, you can pick up a different Pokemon as your starter. The star of the TV series and Pokemon Yellow, Pikachu, can be yours by taking advantage of this quick trick and who doesn't want the loveable yellow, electric mouse as their starting Pokemon? This is where the first differences start to appear from the other Pokemon games. In previous incarnations of Pokemon you would take your starting Pokemon out and battle away against other Pokemon to boost the level of your starting Pokemon, but this is no longer the case. 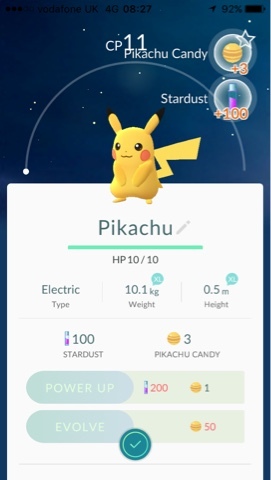 Now the only way to level up your Pokemon is by collecting stardust and specific Pokemon candy, Pikachu and his evolved form Raichu can only eat Pikachu candy for example. And getting that candy is difficult, especially for starting Pokemon who only have limited spawning locations. For each Pokemon you catch you gain 3 candy specific to that Pokemon evolution chain, additionally you can gain one extra candy by trading in a Pokemon to Professor Willow. Stardust is easier to collect and is not Pokemon specific. The easiest way to collect stardust is to go out and catch as many Pokemon as humanly possible. For each Pokemon you catch you will receive 100 stardust. Additionally you can hatch eggs which will provide you with another Pokemon and an arbitrary amount of stardust and candy. Quickly going back to catching Pokemon, the mechanism for this has been vastly simplified and now only requires you to throw Pokéballs at the Pokemon until they finally relent and stay in the ball. No more battles, just a simple flick of your finger and the Pokemon is caught. I must admit that I miss the old battle mechanic for levelling up and catching new Pokemon as this was a key part of the game. I can only imagine limited resources held this back as there are no micro transactions available to boost it. 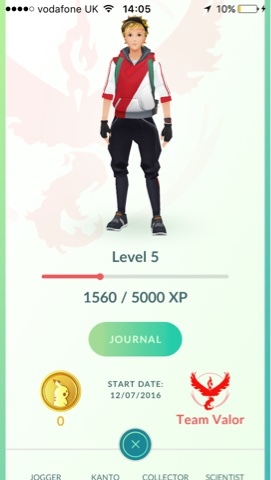 In addition to levelling up your Pokemon you also have to level yourself up via XP. 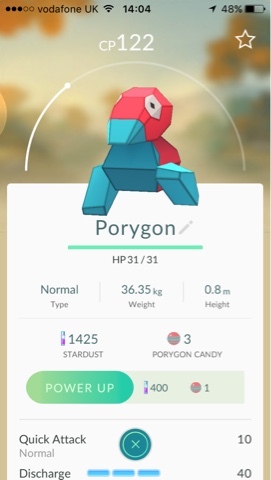 This is generated by catching Pokemon, hatching eggs and adding new Pokemon to your Pokedex. 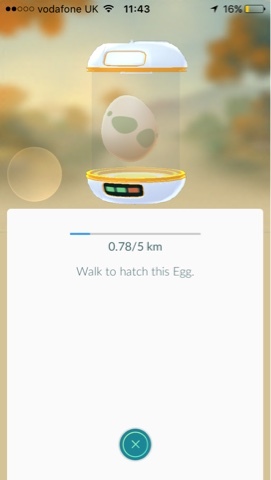 It is also possible to pick up XP from visiting pokestops and gyms but this appears to be somewhat limited in effectiveness. Once you hit level 5 you can pick one of three teams. Red, blue and yellow/Valour, Mystic and Instinct. It is nice to see this small homage paid to the original games with the choice of colour but apart from gym battles it has negligible impact on your gaming experience. As a side note, there has been talk about the teams causing divisions and arguments as friends pick different teams but I am yet to experience this. Gyms are currently the only place where you can do battle with your Pokemon. There are rumours that we will see some more player interaction in future updates, including trading and battling on an individual basis, but as far as I am aware these are currently unconfirmed. It would be a nice addition as playing against friends and family would increase the longevity of the game, and gym battles are somewhat limited as you cannot play as the defender. So far I am yet to really figure out a strategy for winning gym battles and generally resort to tapping away at my screen like a woodpecker until I have built up enough charge for my special attack. 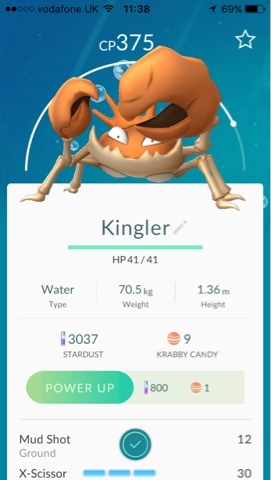 If you take a look at Kingler you can see that he has two attacks, Mud Shot and X-Scissor. Mud shot is the basic attack which can be done repeatedly and without charging up. If you take a look at X-scissor you will see that there are 3 blue bars next to it. In a battle you have to charge up these bars by making normal attacks, and usually they are worth it as the special attacks deal more damage, especially if they are of a type that has bonuses against the Pokemon you are fighting. Once the bars are charged you can initiate a special attack by pressing, and holding, your finger on your Pokemon rather than tapping. These will prove to be some of the most popular hangouts in the game. 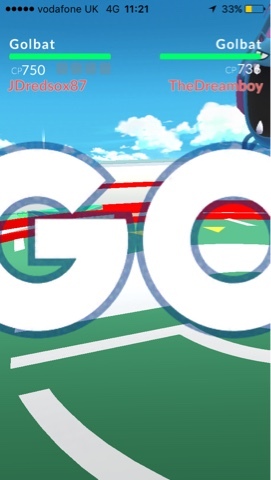 Not only can you collect additional items here, such as more Pokéballs and believe me you'll want more Pokéballs, but you can also attach a lure to pokestops to draw in more Pokemon to catch. Those little blue cubes are the pokestops, once you get close enough you can click on them and spin the coin in the centre of your screen to collect your items. To know if you're close enough keep an eye on the expanding purple circle around your avatar as you walk about on screen. 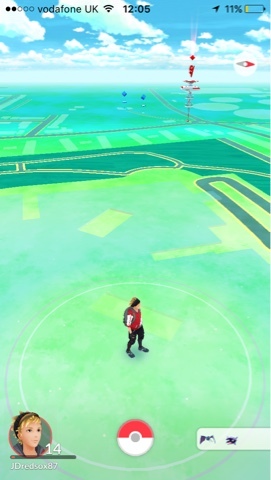 If the pokestop is within the range of this circle then you can access it. And there you have it really, the basics of Pokemon Go. I think I will keep an eye on this for a while just to see if they add in some of the rumoured features which I feel would really add to the game. Oh, and I will keep playing it, making those long commutes a little more interesting is something anyone who has to travel into work will appreciate. 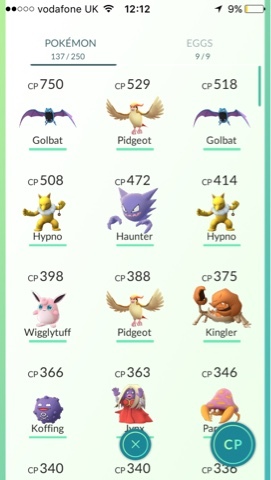 Why not share your exploits and favourite Pokemon in the comments below? Or leave any questions and I will be happy to help.